The woman who lived in our house before us loved roses and planted eight of them on our property. Every day when my husband comes home from work, he picks one and brings it to me. Adam’s a plant guy, and he has spent the past two weeks potting succulents, the only plants our cat won’t eat. He’s not big on flowers and last night I found out why. I’ve always kind of felt that way about roses. They are so Miss Havisham. Even growing up in Pennsylvania’s Red Rose City, I always knew that their beauty was lost on me. The roses in our neighborhood here in Salem are heavy with blossoms at this point — droopy heads bending over to reach the grass. But all across the micro-hood we call home, roses are doing their languid burlesque. My neighbor has a red rose growing on her front wall, the Ingrid Bergman rose, that has blooms larger than my baby’s head. We have roses woven through the fence in our back patio that bloom and rebloom for several weeks each summer — sure puts those ideas about temporality to shame. And now I’ve discovered this rose, which reminds me of an 1980s dress one might wear while roller skating, at the Portland International Rose Test Garden. Even if you don’t love roses. Even if you think that the scent of a rose reminds you of the toilette of an 115-year-old woman. Even if No rose has ever smelled as sweet. It is almost impossible not to be happy when you’re surrounded by these gently unfolding pink ladies. This entry was posted on June 4, 2010 at 10:14 am and is filed under These are the people in my neighborhood, Travel. You can follow any responses to this entry through the RSS 2.0 feed. You can leave a response, or trackback from your own site. Nice. One of my favorites is Lagerfeld, named after Karl himself. It’s a pale lavender and super fragrant. 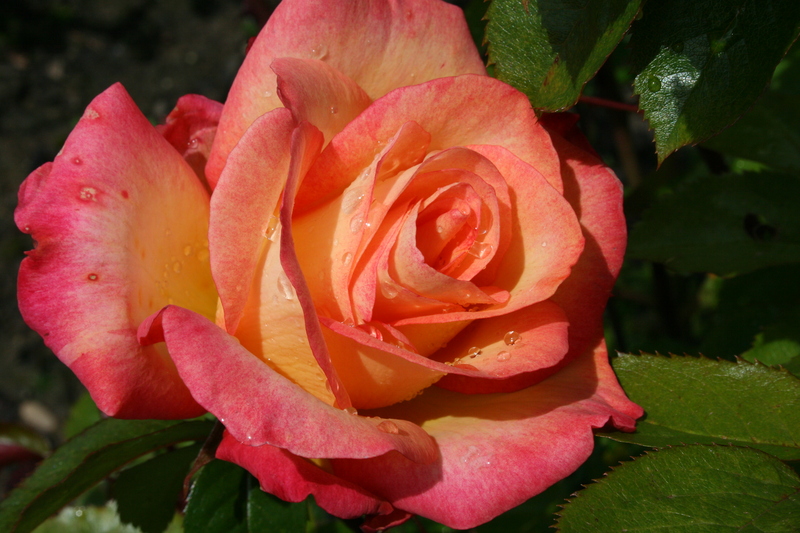 I love all the names…did you know there is even a rose named for Dolly Parton? A very fitting tribute, I think. I love your picture up top. I find it’s impossible to visit a rose garden without bending to sniff each and every bloom. I liked the one calle “Fame.” Sadly, it doesn’t live forever. It’s a little miss leading to have the first picture and then open with “The woman who lived in our house before us loved roses and planted eight of them on our property.” Pretty sure those roses aren’t in your yard. The lady before you was good, but not that good. 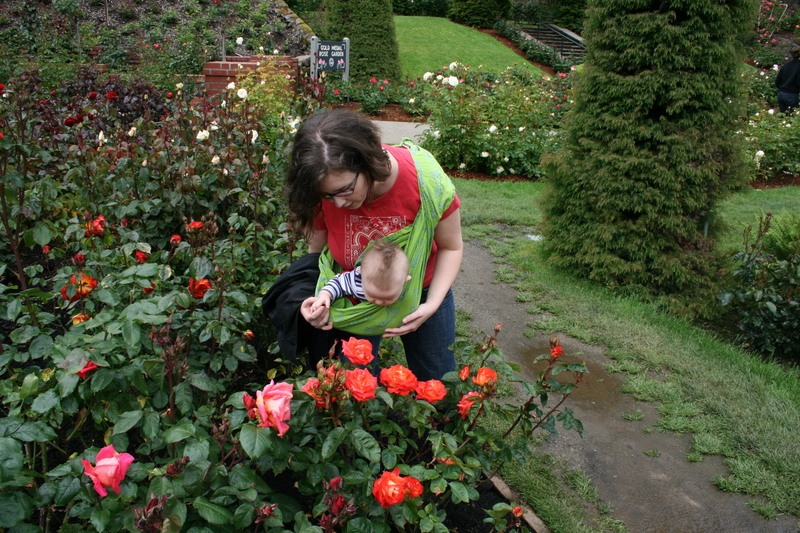 The Rose Test Garden is probably the full time work of many people. Just me being a persnickety plant person. That’s not a plant issue, it’s a labeling issue.